How to set Motion Gate? If you want active motion gate, select on of motion gate. 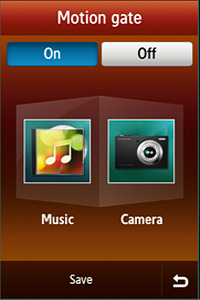 Touch the Icon the right or the left, and then select application that you like to assign motion gate. What is HSDPA(High Speed Downlink Packet Access)?